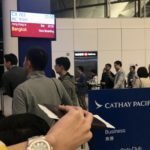 "they offered the cheapest tickets"
✅ Trip Verified | Booked a last minute flight on a fifth freedom flight from Cathay Pacific between Bangkok and Singapore as they offered the cheapest tickets for me. I was not able to check in online and via check in counters received a seat with my girlfriend at one of the emergency exit which gave me tons of legroom, but no window to watch. 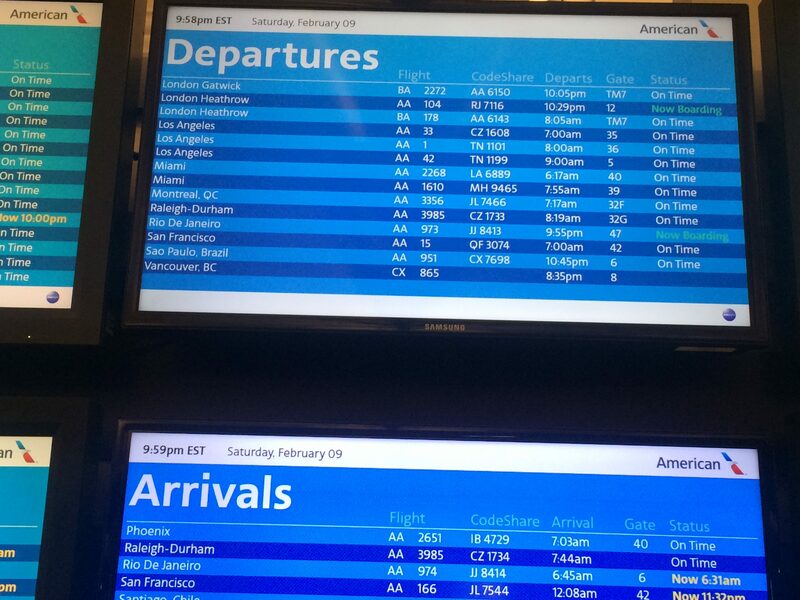 Flight departed slightly late. 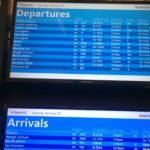 IFE screens available and a good tasting meal was served en-route. Luggage took a very longtime to appear. ✅ Trip Verified | Hong Kong to Bangkok. A great flying experience. The staff both on the ground and on the air were accommodating and caring. But there's a disappointment with the catering served inflight as the food was dull - if there's an improvement in the catering part, it will be perfect. ✅ Trip Verified | In this trip, I bought Premium Economy class and HKG-JFK round trip, but when I reached the airport counter, the ground staff told me that my flight changed from CX840 to CX890, which is HKG-JFK changed to HKG-EWR as well as downgraded me to economy class when I reached the gate. The ground staff were friendly and helpful and gave me an appropriate compensation. They provide a comfortable economy seat and a superior entertainment system, so I'm still satisfied with Cathay Pacific after the changes and downgrade. When I came back from New York, they upgraded my seat to Business Class, which was a great experience. The funniest thing is that I bought the Premium Economy Class, but I never tried it for my round trip. ✅ Trip Verified | I flew round trip with Cathay from New York to Bangkok with a layover in Hongkong which equates to 4 separate flights. In my opinion this airline is overrated. The one positive is the legroom is decent for economy. I'm 5'9" and my boyfriend is 6'3" and there was just enough space. However, the seat cushion was flimsy and did not have enough support. Customer service is subpar relative to other airlines I've flown on internationally i.e. Emirates, Eva Air, United. The food is barely edible. The flight attendants aren't as attentive. The plane seemed old, my audio for the TV wasn't working so they offered to move me to another seat but couldn't do the same for my boyfriend so we were separated. The seats were uncomfortable and the worst of all there is an odor from the bathroom that never subsides. Never again! ✅ Trip Verified | Bangkok to Singapore. New Aircraft. Cabin okay but cabin crew not engaged, like in economy class. Bring food, need to ask salt and pepper. Did not bring any coffee after finishing the lunch. Food was similar to Economy. Overall very disappointed. ✅ Trip Verified | Sydney to Hong Kong. The aircraft is old, cabin crew service was bad. Not sure why they are even a highly rated airline. Food quantity, quality and variety was appalling. Seats are not comfortable. Flight was delayed which has been a norm for this airline from Sydney to Hong Kong as per my experience. I fly this route often so I don't have much option VA, QF and CX so I sometime have to fly with them which isn't really pleasant. No Wifi. Return flight from HK to Sydney was even worse in terms of seating. 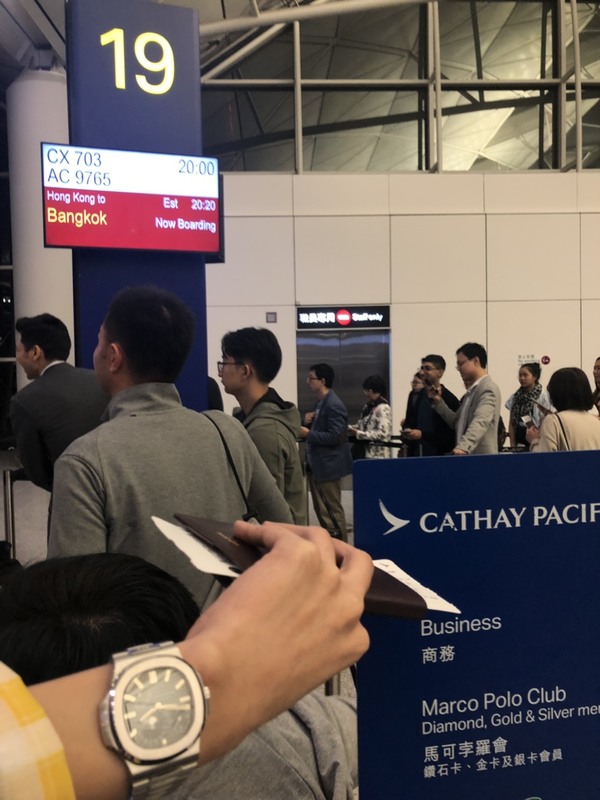 ✅ Trip Verified | I was blocked boarding by Cathy Pacific Airline (CPA) when taking connection flight even though it was still in process My first leg of my trip From Haikou to Hong Kong was delayed about 30 minutes. My second leg is from Hong Kong to San Francisco. Since the connection time is short, I was advised by a Cathay Pacific service person to check if there is a Cathay Pacific person hold the sign with next flight number when I get out of the corridor. If so, ask the person for help in the case of an urgent transfer to the new gate is needed. When I got out the corridor, I quickly found a man behind the CX892 sign. I asked him what the gate number is. He asked me to give him the boarding pass. After he checked, then quickly gave me another boarding pass and said you had been assigned to next airplane, CX872. It is five hours and fifty-five minutes delay from CX892. I asked to give me back the original boarding pass. He refused. There is another passenger got the same treatment after me. Our request and argument were rudely rejected We decide to go to the original gate anyway. When we arrived at the original gate, there were still about a dozen people in line for boarding. We asked to aboard this original plane. The service person said she can’t, but she called to ask. After a few minutes, she said we can’t. After the conversation, we noticed that the door was still open for couple minutes. I made a complain on Cathy Pacific’s web site. With more details mentioned above, we could arrive the new gate, at least 10 minutes before the door was closed, with our original boarding pass in hands, if we didn’t see the CPA person at the exit gate. Below is part of reply by a Customer Relations Executive of Cathay Pacific: “where we foresee that a passenger will not make it for the connecting flight, we will make alternative flight arrangement for the passenger. While I understand that you saw that the door for your original connecting flight was open and the boarding was still in process, as mentioned above you were already rebooked on another flight”. I simply trust the airline will accommodate if there is a short delay in the first leg. Don’t be so naive, there is a trap. Looks great on the paper, but there is a good chance that one will be reassigned to the next flight, especially when there are not many passengers take the same connection, as the Executive said, “a passenger”. If there are a dozen or more people have the same connection, will Cathay Pacific do the same thing? ✅ Trip Verified | Perth to Hong Kong. Very disappointed with the overall experience on this return trip. The service was very slow and there we several of us who missed out on meal options. There was also a lack of water in the cabin, staff were not very attentive. The seats are some of the most uncomfortable I have experienced, almost zero padding in the lower back, so if someone fills up the magazine space in the seat behind you, you certainly feel every little bump of it. Very disappointed. "cost cutting gone too far"
✅ Trip Verified | London to Taipei via Hong Kong. This was my first time flying Cathay Pacific after many years. 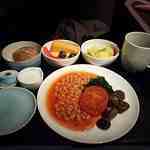 Cathay used to be a very reliable and consistent airlines but it has gone downhill even in the business class. The booking process was very smooth and the CX website was well designed (although they were doing system maintenance/upgrade before my trip and I was given confusing info). Airport check in for business class was smooth in both London and Taipei. The Pier Lounge in Hong Kong is first class. Service was lacking but the facilities were one of the best. The CX lounge in Taipei is also very good. I like the A350 plane it was extremely quiet and comfortable; the business class seat offers great privacy and was very spacious unlike most other airlines in this configuration. onboard amenities (amenity kits and duvet) offered were really good quality. Unfortunately that's where the pros end. There are a lot of areas that Cathay will need to improve to make their business class passengers happy: First of all the cost cutting has gone too far. They have removed all the fresh flowers from the cabin and keep the toiletries in the lavatory to minimum. They also don't provide pajama and slippers to the passenger. I am not too bother about PJ but slippers should be the basic essential - most other airlines even offer that in economy. Secondly, I like the design of the new menu as it's more interesting and casual but the execution is badly done. Presentation of food was not great and food didn't taste nice at all. It feels like a economy class food placed on a better plate. Wine menu is also not impressive as they serve simply the cheapest supermarket wine. Service in the long haul flights was definitely short of expectation. Very minimal interaction with the passengers even in the day flight, and the service was very robotic with smile. For the night flight the service was non existing. Choice of movies is always very limited unless if you fancy Hong Kong movies. It is very strange as the service in short haul flight was slightly better. Overall if you can get a good price with CX and/or access to one of their flagship lounges then it's not a bad option; otherwise there are so many better Asian/European airlines that provide better service and software for the business class. "let down by poor inflight service"
✅ Trip Verified | Denpasar to Gatwick via Hong Kong With Emerald status check- in was speedy and efficient. The lounge Cathay use in DPS was abysmal, felt more like a foot massage salon, very poor.The seats on the A330 are far inferior to those on the the A350, I was lucky enough to change the seats to an exit. Crew on my side of the aisle were courteous, once again acknowledging my Emerald status, however on my friends side the attendant basically barked at her, and at Cathay they have a trend of screaming ‘mind your knees’ as they pull the cart up the aisle seemed very unprofessional. The Pier lounge at Hong Kong was outstanding. No Emerald recognition on the LGW sector, crew seemed very new and unsure of their role, I think Cathay’s more ‘Senior crew’ work in the premium cabins. I really don’t understand after 4 long sectors how this airline has reached 5 star status, it really is let down by poor inflight service. I would only recommend for the price paid for the ticket and the lounges in HKG.